at the UConn Barnes & Noble at Storrs Center on Wednesday, Sept. 28 at 5:30 p.m.
Arlington National Cemetery is America’s most sacred shrine, a destination for four million visitors who each year tour its grounds and honor those buried there. For many, Arlington’s symbolic importance places it beyond politics. Yet as Micki McElya shows, no site in the United States plays a more political role in shaping national identity. Arlington commemorates sacrifices made in the nation’s wars and armed conflicts. Yet it has always been a place of struggle over the boundaries of citizenship and the meaning of honor and love of country. A plantation built by slave labor overlooking Washington, D.C., Arlington was occupied by Union f…orces early in the Civil War. A portion was designated a federal cemetery in 1864. A camp for the formerly enslaved, Freedman’s Village, had already been established there in 1863, and remained for three decades. The cemetery was seen primarily as a memorial to the white Civil War dead until its most famous monument was erected in 1921: the Tomb of the Unknown Soldier, symbolizing universal military sacrifice through the interment of a single World War I Unknown. As a century of wars abroad secured Arlington’s centrality in the American imagination and more Unknowns joined the first at the tomb, inclusion within its gates became a prerequisite for broader claims to national belonging. In revealing how Arlington encompasses the most inspiring and the most shameful aspects of American history, McElya enriches the story of this landscape, demonstrating that remembering the past and reckoning with it must go hand in hand. 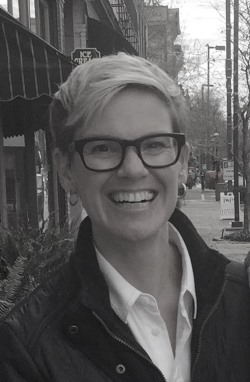 Micki McElya is Associate Professor of History at the University of Connecticut. The event will begin at 5 p.m. with refreshments and networking. At 5:30 p.m.the formal program will open. To RSVP online for this event, please click “New Registration” in the top left-hand corner of the page. All are welcome! We look forward to seeing you there. This event is a collaboration of the Metro-Hartford Alliance and the University of Connecticut. Questions? Please contact University Events & Conference Services at rsvp@uconn.edu or by calling (860) 486-1038. We are pleased to announce the launch of the UConn Early Modern Studies Working Group, a program designed to foster community and collaboration among scholars and students of the early modern period. The Working Group will feature lectures and work s-in-progress talks by UConn scholars and outside guest speakers, as well as other events related to early modern studies. The series is funded by the Humanities Institute in an effort to build upon the momentum created by UConn’s recent association with the Folger Shakespeare Library. It is our hope that this program will have broad interdisciplinary appeal to anyone interested in the early modern period, including undergraduates, graduate students, and faculty. We will update this blog with news on upcoming events. UCHI director Michael Lynch, The “neuromedia” future, in meaningoflife.tv. Michael imagines a world where Google is built into our brains.